These units have been well-proven over many years and are widely used in discharging under adverse pressure conditions, materials such as cement, PFA, granite dust, silica sand, mineral powders etc. Replaceable internal components allow for on-site refurbishment. 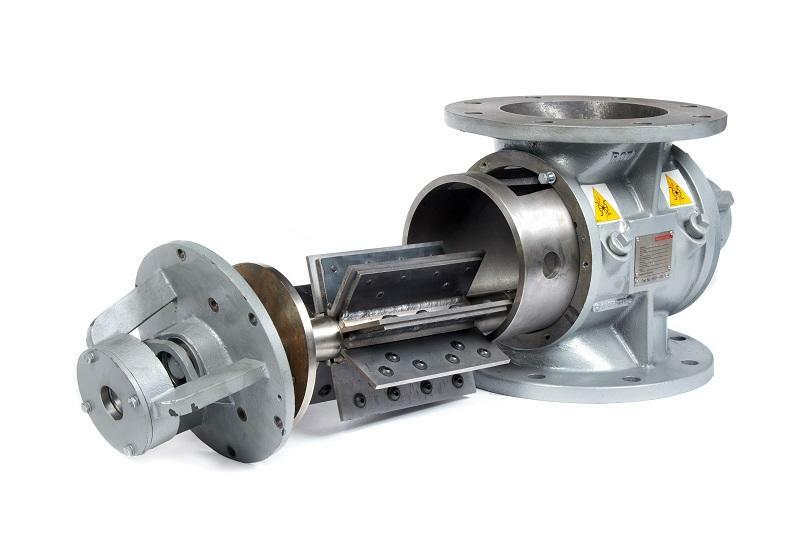 Standard Valves manufactured in Cast Iron / SG Iron/ Ni-hard / Carbon steel construction with round and square flange options. To further enhance durability replaceable body liner can be hard chromed or ceramic coated. Rotor shaft sealing options include various types of gland packing, mechanical seals, air or grease purge. NOTE: Service life of these Valves will vary according to the service conditions prevailing. Selection must be undertaken with care and system conditions where possible adopted to ensure maximum service life.